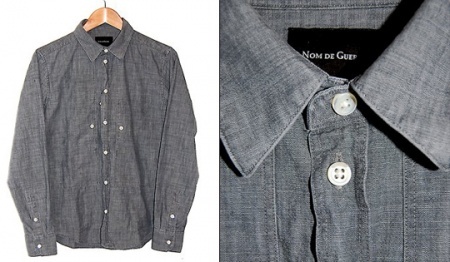 Nom De Guerre – Service Shirt | Definitive Touch - Men's Contemporary Style. Nom De Guerre has created a timeless classic with its latest delivery; the Service Shirt. A plain yet well styled shirt, the Service Shirt has an emphasis on texture rather than pattern and can be purchased through Kiosk 78.